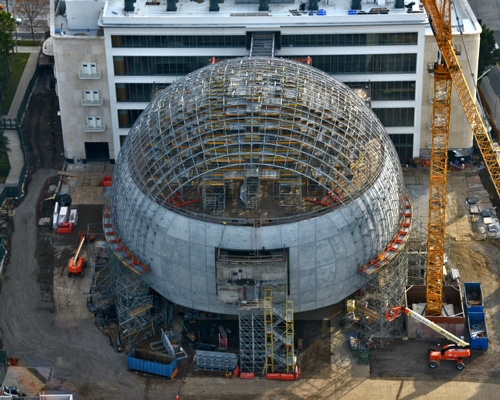 with oscar celebrations over for another year, we take a closer look at the academy's brand new building. construction is now underway on the project, which, once complete, will bring shops, restaurants, residences, and a new hotel to the neighborhood. the three-winged glass home subtly 'floats' overhead the developed neighborhood and expansive california hills, integrating into its environment while maximizing views. 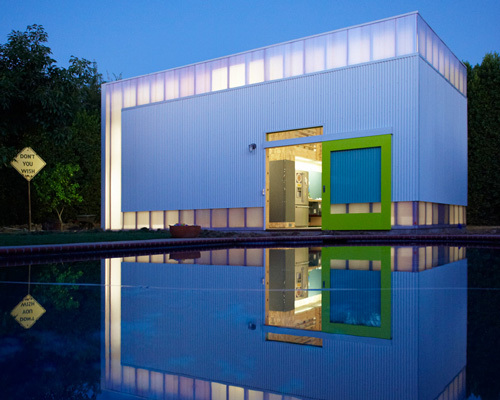 the house encourages an indoor-outdoor living style with several strategically-placed patios. feldman architects transforms a dim, disorienting space near san francisco's mount sutro open reserve into a light-filled home. 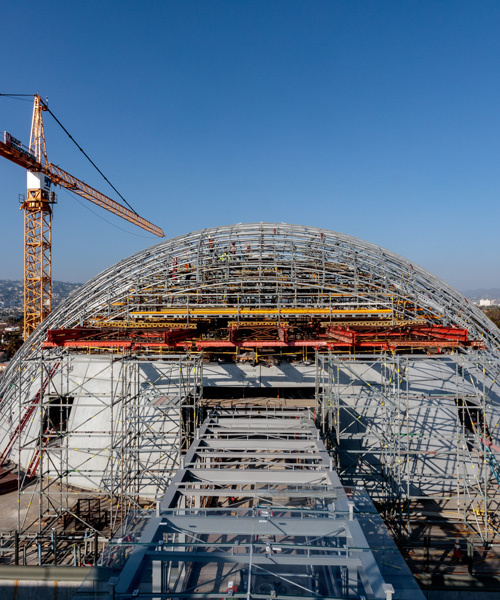 the architect developed his design alongside music and artistic director gustavo dudamel, creating a light-filled, flexible facility for rehearsals, classes, and performances. the scheme intends to create a site made for people, not cars, by providing numerous foot and cycle paths. 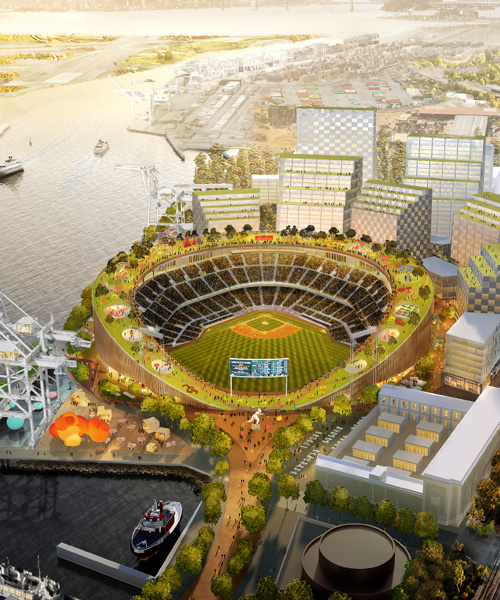 BIG, with major league baseball team 'the oakland A's,' reveals images of the massive stadium complex that spans two sites along the oakland waterfront. the new addition in los angeles’ oldest jewish congregation will serve as a multi-use cultural, religious and event space. 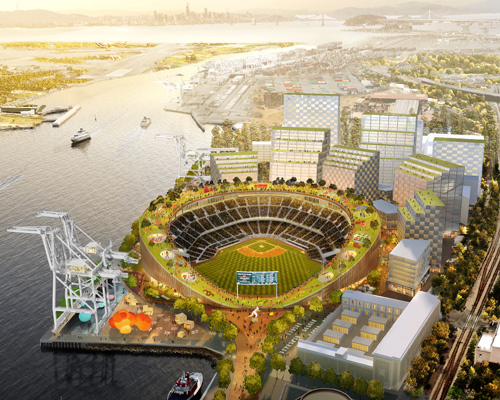 the 40-story structure will host a community of luxury condominium residences in close proximity to the embarcadero. seattle-based design practice olson kundig has completed a family retreat in the harsh high desert of california. 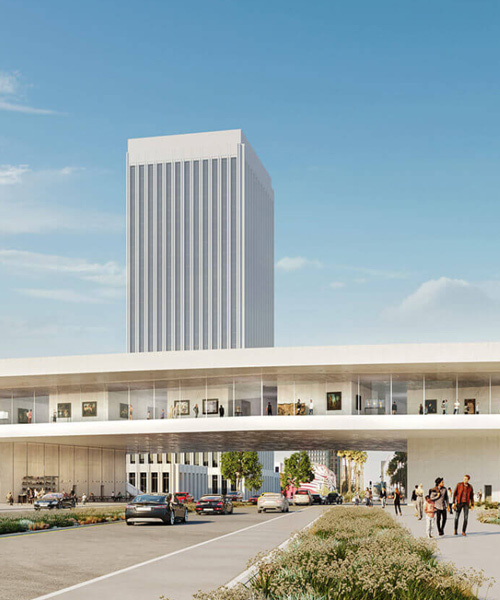 the renovated shopping mall opens to the public november 1, 2018.
the residence uses a subtle rotation to create a series of indoor-outdoor spaces, each offering unobstructed views towards the san gabriel mountains. constructed in less than 18 months, the office building is topped with a 3.6-acre roof garden that features over 200 trees and a half-mile meandering pathway. 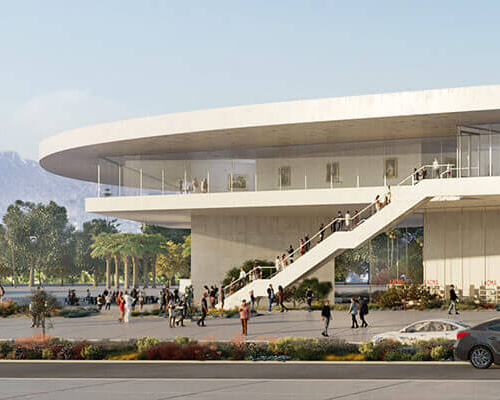 students collaborate with international architects and artists to experiment with virtual and hands-on building technologies in the california desert. 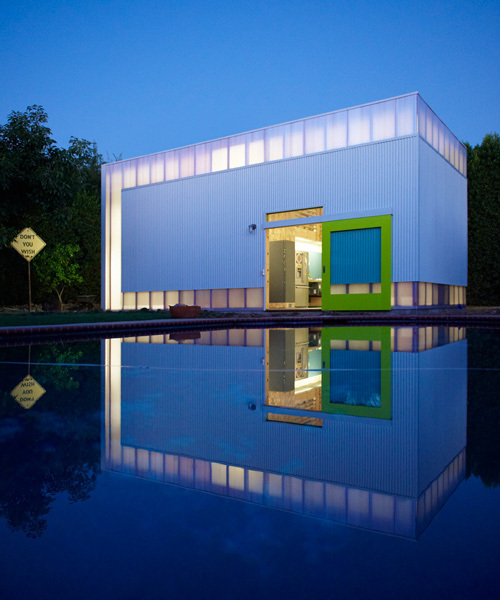 the residence takes the form of an organic object made up of a cluster of sculptural piers. favre walked in a neighbourhood where the typical californian architecture of the 60s gives the houses a timeless and cinematic aspect.